Every marketer will confirm that 2017 has been quite interesting so far and that events and trends are still gathering pace. As people are mastering the skills of content marketing, exploring, and exploiting various uses of digital technology, it is becoming increasingly important to be knowledgeable about what is happening in the world of content marketing. Staying on top of things is crucial since you have to monitor current trends in order to be able to predict what the future has in store. Failing to do so will likely result in missing out on opportunities to develop your brand. 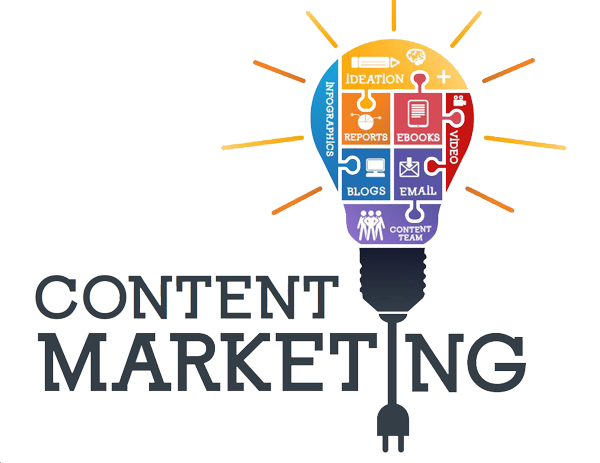 So, let’s have a look at what’s happening these days in the world of content marketing. So far, blog entries and e-books have been the focal points of content marketing and one of their main aims was to boost the number of email subscribers. This trend is likely to continue, though we can say that companies are trying to be much more creative in order to make themselves heard. Written content may remain the most important source of information and knowledge, but visual content is now quickly gaining popularity, especially since search engines are becoming much more efficient when it comes to reading and analyzing images and being able to classify them appropriately. Adding visuals can potentially significantly increase the quality of both the content and its visual appeal. The internet is saturated with posts which do nothing but simply scratch the surface, without ever providing any deep insight or analysis. As a consequence, people have become fed up with such content and do not want to waste their time on it. Instead, they are interested in very specific and targeted topics that they can actually learn from. Specialized knowledge is the most sought-after kind of knowledge today and if you’re identified as someone who possesses it and is even happy to share it, you stand very good chances of attracting more people. Finding your niche audience will help you promote your brand and improve its business results. It’s now widely recognized and accepted that videos create the highest return on investment and have a great influence on your target audience. Some estimates even claim that almost three-quarters of all traffic will be a video this year, which only testifies to the importance of this type of content marketing. Since all popular social networks and other communication channels between companies and customers now allow videos to be sent, it comes as no surprise that Google, the owner of YouTube among things, favors videos when showing search results. What is important, though, is that the required standards are quite high and you really need to approach creating a video as seriously and professionally as possible. It’s probably the best idea to hire a team of professionals to create the message you want to send out to the world. You shouldn’t forget that as fast as great videos become viral, so do substandard ones, and they can create irreparable damage to your brand. What started as an experiment quickly turned into a fierce competition. Companies are to automate as much as they can, including apps and software related to content marketing in order to improve efficiency are respond to the needs of their customers instantly. For example, instead of having a group of people brainstorming an idea for a slogan, you can save time and money by using a free slogan maker, which will automatically generate thousands of suggestions and you’re bound to find at least one that ticks all the boxes. If the amount of money spent by famous brands on content marketing is anything to go by, we can safely assume that traditional advertising is becoming less and less popular. The fact that content marketing is probably the most cost-effective form of marketing explains the rationale behind this trend and emphasizes the importance of giving content marketing the attention it duly deserves. Client acquisition is extremely important since it provides the foundation for development, but it’s not worth much if there is no retention. In order to improve the conversion rate among the existing audience, we have to make sure we are constantly present and visible on every platform. Attracting people to read a blog entry is great, but not as great as engaging the reader and making them wish to hear more from you by subscribing to your newsletter. In order to achieve that, we need to have attractive and relevant content that they’ll find interesting and informative. All those dealing with content marketing will have another exciting year, but it seems that the following one will not be any easier either. The scope of work shall rise and so will the number of people working in this field. That also means it’ll be more difficult to stand out, but those committed to quality and self-development will surely make the grade. Oscar Waterworth is a writer and one of the editors at Bizzmarkblog. He writes about the latest developments across various industries, usually relating to marketing, business, and technology. To stay updated with Oscar’s latest posts, you can follow him on Twitter.